As Autumn smiles upon the sun-kissed lands, the hedgerows and pastures are full with an abundance of tasty treats such as blackberries and damsons, plums and elderberries clamouring for the forager’s attention along countryside pathways and urban routes. What better way than to enjoy these seasonal wonders than by preserving them for later in the year? 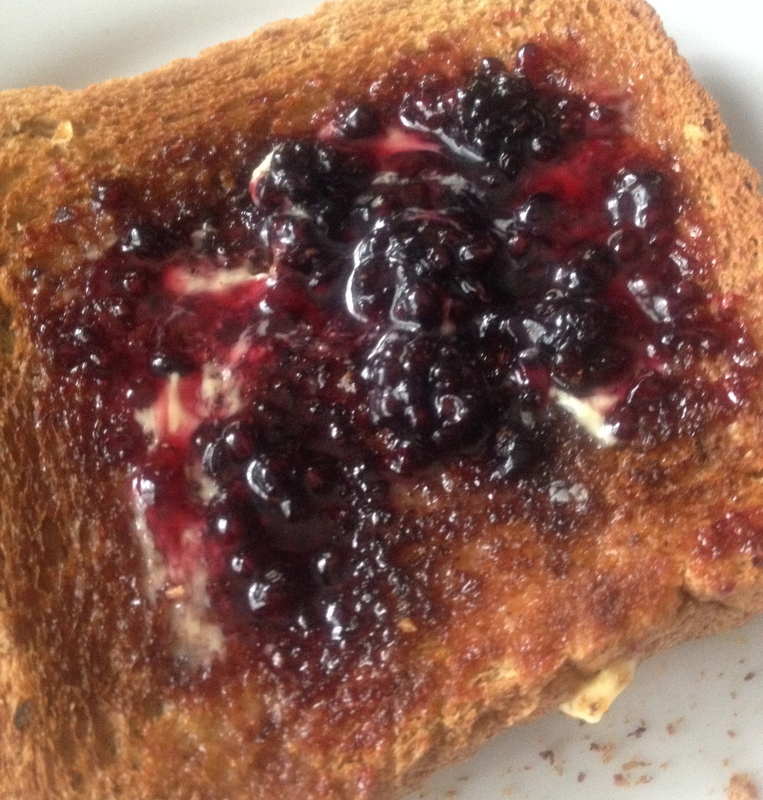 Dawn: Jam is basically a cooked mixture of fruit and sugar. The sugar used in the process of jam making allows the jam to be kept for months, so acting as a preservative. It also affects the jam’s setting quality. The exact amount of sugar needed depends upon the pectin strength of fruit being used: pectin is found in the majority of fruit to a lesser or greater extent and influences the setting quality of jam. A sample of good pectin quality can be found in cooking apples, black currants and damsons with poorer quality found in fruits such as cherries, strawberries and rhubarb. Too little sugar produces a poor setting jam and it may go mouldy when stored; too much sugar may produce a dark sticky jam, overpowering the fruit flavour and causing the jam to crystalize. Any type of sugar can be used and there are special ones available like lump or preserving sugar as well as castor and brown sugars with granulated sugar offering a cheaper option. Put the fruit and water into a large saucepan and simmer gently until the fruit is soft. Add the sugar to the softened fruit and stir until dissolved, then add the knob of butter. Bring to the boil and boil rapidly for 10 minutes, stirring frequently. Test for a set and when the setting point is reached, take the saucepan off the heat and remove any scum residue that may have formed on top. Dawn: When potting the jam, it’s best to wait 15-20 minutes until it’s cooled a little to prevent the fruit from floating to the top of the jar when potted up. Spoon the jam into warm jars, filling each jar right to the top. Wipe the outside of the jars with a clean, damp cloth and allow the jams to go cold before securing their lids on. Label the jars and store in a cool, dry and dark place until needed. Dawn: It’s worth noting that if the jams’ deliciousness hasn’t prompted them to be consumed too quickly, they can store for about a year and still retain their flavours. Jam setting point tips can be found at “How to Test for the Setting Point of Jam“. Happy preserving, fellow foodies! Posted on September 5, 2014 by Love Food UK	• This entry was posted in How to Make and tagged easy to follow recipes, easy to make food, how to make jam. Bookmark the permalink.